A tax shelter is a financial vehicle that an individual can use to help protect their money. It is a legal way for individuals to “stash” their money and avoid getting it taxed. A tax shelter is entirely different from a tax haven because the latter exists outside the country and its legality can, at times, be questionable. The tax shelter, on the other hand, is entirely legal and keeps all monies within an individual’s home country. In the United States, some of the most commonly used tax shelters are home equity and 401(k) retirement accounts401(k) Contribution LimitsThe 401(k) contribution limits are limits placed by the U.S. Congress on the amount of money that employees contribute towards their retirement plan. The. It is common for many individuals or individuals to purchase a home, either outright or through a mortgage loan. Home equity is the value of the home that the home buyer owns free and clear of any debt. The tax shelter portion of home equity occurs in the event that the individual – at some point – decides to sell their home. The Internal Revenue Service (IRS) offers individuals a capital gains taxCapital Gains TaxCapital gains tax is a tax imposed on capital gains or the profits that an individual makes from selling assets. The tax is only imposed once the asset has been converted into cash, and not when it’s still in the hands of an investor. exemption on the first $250,000 from the sale of thd home. A 401(k) account is a tax shelter; however, it’s not a permanent one. As an individual pays into their 401(k) account with pre-tax income, the amount of income that the government can tax becomes smaller. The money in the account is allowed to earn interest without the government taking taxes from it. 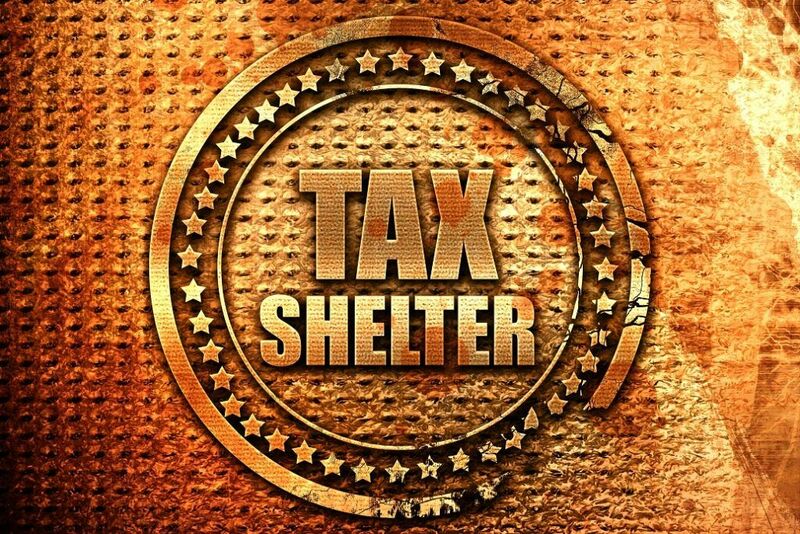 The tax shelter isn’t permanent because, at some point in the future, the individual will need to pay taxes on the income. Regular tax deductionsSchedule ASchedule A is a United States income tax form that is used by taxpayers to report itemized deductions. It is attached to the standard 1040 form for taxpayers paying annual income taxes. Taxpayers can choose to claim either a standard deduction for tax returns or itemize their qualifying deductions will be taken once the individual begins removing money from the account. A traditional individual retirement account (IRA) is another example of a tax shelter and works in nearly the exact same way as a 401(k) account. Sometimes, in order to save money, you must spend money. It is true if you plan to use deductions as a tax shelter. Essentially, it means buying things that are known to offer tax benefits. The money spent may be partially regained through tax credits or tax reductions. Deductions are taken on a wide variety of things. Tuition can be paid to a college with a loan instead of a line of credit, and the student loan interest deduction can be taken advantage of. Also, there are a variety of purchases or donations (many of which involve charities) that are at least partially tax deductible. Tax shelters are important, although they can sometimes be looked at in a negative way. Such financial tools allow individuals to help retain some of the money they earn or get back some of the money they spend through deductions. They are a legal way to stop the government from taxing part of your income.